The research project is focusing on development of region-specific, sustainable adaptation strategies for dairy housing, aiming at optimised indoor climate of naturally ventilated buildings (NVB) facing the globe climate change. Naturally ventilated buildings are particularly vulnerable to climate change since the indoor climate strongly depends on the extremes and variability of the outdoor climate. Without sound adaptation strategies, increased climate variability will result in a sub-optimal thermal environment in many livestock buildings impairing production and welfare of animals. Appropriate construction methods and management of the buildings can improve the thermal control and provide precise identification of factors affecting the thermal control capacity of the buildings under commercial farm conditions. In this research consortium, a team of scientists from seven research institutes in Germany, Denmark, Spain, Israel and Australia will work together on possibilities, technical approaches and sustainable strategies for optimal barn climatisation. The major research in the project includes assessments of the influence of outdoor climate on indoor conditions in different naturally ventilated barns; region-specific risk analysis on how often extreme weather situations will occur today and in the near future is conducted taking into account different climate chance scenarios; monitoring of animal-individual stress responses to the indoor conditions in various representative climate zones and development of sustainable engineering solutions to control the indoor climate; and modelling developments to assess environmental and economic effects of adaptation alternatives complement. 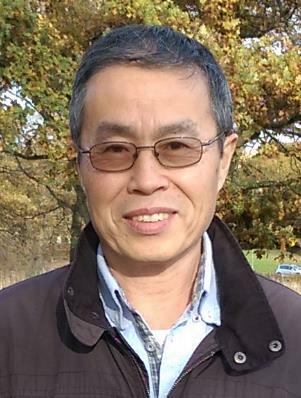 AU ENG's contributions are mainly in development and validation of adaptive smart NVB and environmental control, and development of an integrated sensing method for optimal design and control of livestock housing ventilation to adapt to the climate change.